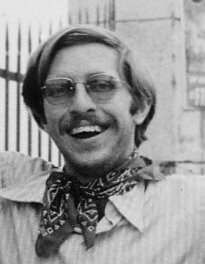 Washington D.C., November 30, 2011 – Thirty-eight years after the military coup in Chile, a Chilean judge has formally indicted the former head of the U.S. Military Group, Captain Ray Davis, and a Chilean intelligence officer, Pedro Espinoza for the murders of two American citizens in September 1973. The judge, Jorge Zepeda, said he would ask the Chilean Supreme Court to authorize an extradition request for Davis as an "accessory" to the murders of Charles Horman and Frank Teruggi. Both Horman and Teruggi were seized separately at their homes in Santiago by Chilean soldiers and subsequently executed while in detention. Their murders, and the seeming indifference of U.S. officials, were immortalized in the Oscar-award winning movie "Missing" which focused on the search by Horman's wife and father for him in the weeks following the U.S.-supported coup. The indictment accused the U.S. MilGroup of passing intelligence to the Chilean military on the "subversive" activities of Teruggi that contributed to his arrest; it stated that Davis "was in a position" to stop the executions "given his coordination with Chilean agents" but did not do so. In his indictment, Judge Zepeda cited a number of declassified U.S. government documents as the basic foundation for the case-although none of them tie Davis or Espinoza to the crimes. "These documents are providing the blocks for building a case in these famous killings," said Peter Kornbluh who directs the Chile Documentation Project at the Archive, "but they do not provide a smoking gun." To successfully advance court proceedings as well as a successful extradition request, according to Kornbluh, the judge will have to present concrete evidence of communications between U.S. and Chilean military officers regarding Horman and Teruggi prior to their detentions and their deaths. The Archive today posted a number of the documents cited in the indictment, including key FBI memos that contained Frank Teruggi's Santiago address, as well as other records relevant to the Horman and Teruggi case. 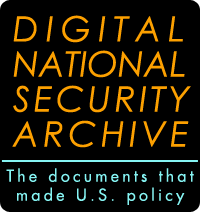 The documents derive from an indexed collection: Chile and the United States: U.S. Policy toward Democracy, Dictatorship, and Human Rights, 1970-1990. The collection, just published this week by the Archive and Proquest, contains over 180 documents on the Horman and Teruggi case. This memo by three state department officers implies that the U.S. government could have prevented the murder of Charles Horman. The memo, written after a review of the files on the case, explains that there is "circumstantial evidence" to suggest "U.S. intelligence may have played an unfortunate part in Horman's death. At best, it was limited to providing or confirming information that helped motivate his murder by the GOC. At worst, U.S. intelligence was aware the GOC saw Horman in a rather serious light and U.S. officials did nothing to discourage the logical outcome of GOC paranoia." When this document was initially declassified pursuant to a FOIA lawsuit filed by the Horman family, this critical passage was blacked out. The document was released without redaction in 1999. It was not cited in Judge Zepeda's indictment, but appears to reflect the judicial argument he is pursuing. This detailed chronology, based on a review of files available to the State Department, contains key information on what the U.S. knew and did in the case of Charles Horman. It also evaluates the possible role of the U.S. in the murder. The document cites the admissions of a Chilean intelligence agent, Rafael Gonzalez, who told U.S. reporters the story of Horman being interrogated in General Augusto Lutz's office and then killed because "he knew too much." Gonzalez claimed there was an American in the room when the interrogation took place, but decades later he would recant that story. In January 2004, he was indicted by Judge Zepeda in the Horman case as an "accessory to murder" for his role in the interrogation, death and secret burial of Charles Horman. This document cited in the indictment, states that the U.S. government has received a note from the Chilean Foreign Office dated October 3, 1973, recording that Charles Horman was detained at the National Stadium on September 20 for a curfew violation but had been released on September 21 for "lack of merit." The document includes a photograph of Horman, his date of birth, address in Chile, and fingerprint classification. Horman was actually detained at his home on September 17, 1973. In this memo to Assistant Secretary Harry Shlaudeman, State Department officer George Lister describes the film work of Charles Horman. A film that he apparently worked on before the coup was completed after the coup by friends titled "Chile: With Poems and Guns." (The document leaves the impression that Charles "made" the film, but clearly he did not work on it following the coup.) 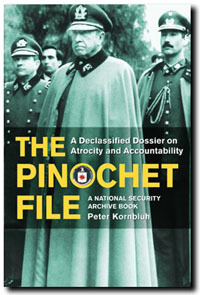 The film describes Chilean history, and the achievements of the Allende government, along with alleged atrocities of the coup and U.S. involvement. Lister goes so far as to imply that Horman's film making in Chile could have been what "led to his death." Chief of Chilean Military Intelligence Service General Augusto Lutz reports on the death of Charles Horman and Frank Teruggi. He asserts that Horman and Teruggi were political extremists attempting to discredit Chilean junta. While he acknowledges that they were both detained by the Chilean military, he maintains that they were later released and that the Chilean military was not involved in their deaths. The document is the only information known to have been provided by the Chilean military to the U.S. embassy after the disappearance of Horman and Teruggi. Ray Davis forwards a list of documents on the interactions of the U.S. Military Group in Chile with Charles Horman to be provided to the General Accounting Office. The documents raise the issue of the role of embassy officials in the disappearance and death of Horman, and make "certain allegations and statements about members of the Navy Mission, in Valparaiso; comments about a ride given by COMUSMILGP, Captain Davis." This memorandum of conversation reports on an informant who has appeared at the Embassy to give testimony on the death of Charles Horman. According to this informant, Horman was seized by Chilean intelligence units and taken to the Escuela Militar for questioning. He was then transferred to the National Stadium, where they determined he was an extremist. He was forced to change clothes, shot three times, and his body was dumped on the street to appear he had died in a confrontation. The informant said that "the person at the stadium who made the decision on who was to die was Pedro Espinoza, of later DINA fame." The document is the first to tie Pedro Espinoza to the Horman case. He was involved in military intelligence and detainees at the time of the coup. However, the commander of the National Stadium at the time was another military officer named Jorge Espinosa Ulloa. In a report on the informant's information, the Embassy cables Washington with his account of Horman's death. Horman was picked up in a routine sweep, the informant suggests, and was found in possession of "extremist" materials. He was then taken the National Stadium where he was interrogated and later executed on the orders of Pedro Espinoza. Embassy officials note that his story "corresponds with what we know about the case and the [Chilean government] attempt to cover up their involvement," suggesting that the informant is probably telling the truth. In later cables, the Embassy begins to question the credibility of the informant who is never identified. This FBI report cites information provided by "another U.S. government agency" on Frank Teruggi's contacts with an anti-war activist who resides in West Germany. The report also contains his address in Santiago. The document was generated by surveillance of a U.S. military intelligence unit in Munich on an American anti-war dissident who was in contact with Teruggi. The FBI subsequently decides to open a file on Teruggi. This series of FBI documents were cited by Judge Zepeda in his indictment which infers-but offers no proof-- that intelligence from them was shared with Chilean military intelligence in the days following the coup. This FBI memorandum requests investigation of Frank Teruggi and the Chicago Area Group for the Liberation of Americas of which he was a member nearly a year prior to his death following the Chilean coup. This FBI document again requests investigation on Teruggi based on his contact with a political activist in West Germany. The document mentions that Teruggi is living in Chile editing a newsletter "FIN" of Chilean information for the American left, and that he is closely affiliated with the Chicago Area Group for the Liberation of Americas. This FBI memorandum demonstrates ongoing efforts to gather information on Frank Teruggi in the year proceeding the Chilean coup. Here, the FBI reports on his attendance at a conference of returned Peace Corps volunteers and his membership in political organizations supporting socialism and national liberation movements in Latin America.